Congratulations to the Senior Boys' soccer team for making the final. Game tomorrow at North Park Sports field. 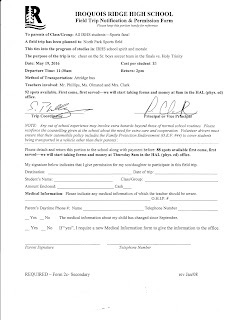 Return the form below along with $3 to the HAL office tomorrow morning before school.